Dr. Gold will address common behavior issues arising in the preschool years including separation anxiety and explosive behavior. She will also discuss underlying sleep issues that can exacerbate these problems. Dr. Gold will outline an approach to these issues and offer ample time to answer questions from the audience. 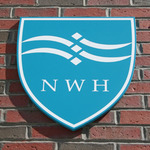 Claudia M. Gold, MD runs the Early Childhood Social Emotional Health program at Newton-Wellesley Hospital. She has practiced general and behavioral pediatrics for over 20 years, and is author of the book Keeping Your Child in Mind: Overcoming Defiance, Tantrums and other Everyday Behavior Problems by Seeing the World Through Your Child’s Eyes. All events are free. Registration is encouraged. To reserve your space, email carefinder@partners.org or call 617-243-5900. For more information, visit www.nwh.org/community. Thanks for the shout-out Mia! Sounds like a great seminar for parents of toddlers! Or caretakers. Thanks so much!